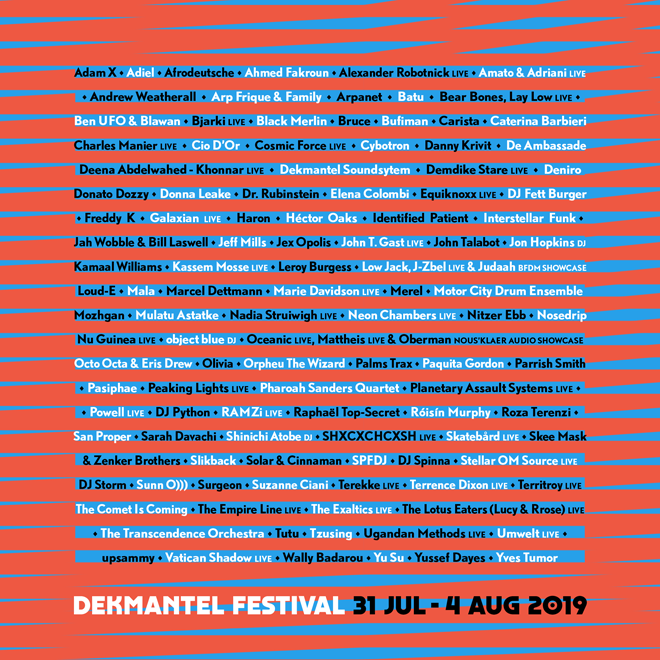 Dekmantel has unveiled the full line-up for its flagship Amsterdam festival which takes place across July 31 to August 4 this summer. The festival boasts a string of mighty bookings, including the first ever European performance of revered Japanese artist Shinichi Atobe. 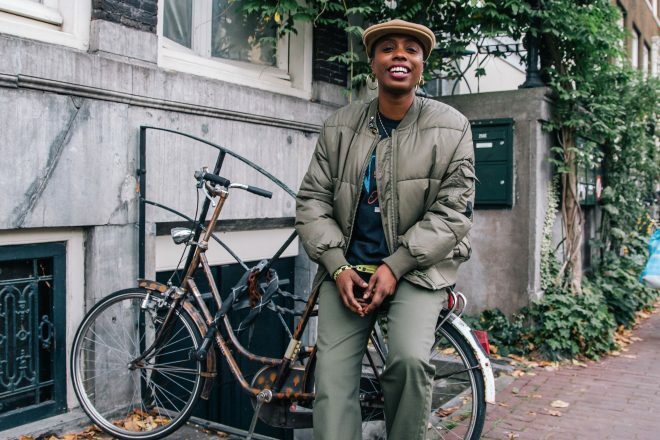 The festival kicks off on Wednesday with a series of concerts in the city, including appearances from Pharaoh Sanders and Cybotron, before heading to the Amsterdam Bos from Friday for a three-day party among the trees soundtracked by outstanding electronic music talents. The line-up comprises tantalising back-to-back sessions from Octo Octa & Eris Drew, Ben UFO & Blawan, Skee Mask & Zenker Brothers, Jah Wobble & Bill Laswell; thrilling live sets from the likes of Marie Davidson, Planetary Assault Systems, RAMZi, J-Zbel and The Lotus Eaters; dance music royalty in Jeff Mills, Donato Dozzy and DJ Storm; rising talents such as Slikback, Roza Terenzi, object blue and upsammy; festival favourites Palms Trax, Motor City Drum Ensemble and Carista (pictured); and much more besides. Pre-sale tickets are on sale January 23 at 12pm CEST, you can register at www.dekmantelfestival.com. General sale goes live on January 24 at 12pm CEST.